Build Your Presence & Increase Sales! Welcome to the NEW BloomNet360 Marketing Portal, your exclusive online marketplace designed to help build your local brand with quality, customizable marketing assets! Increase your local brand awareness and drive more business to your store! BloomNet360 offers customizable branded supplies, that allow you to connect with your existing and future customers! 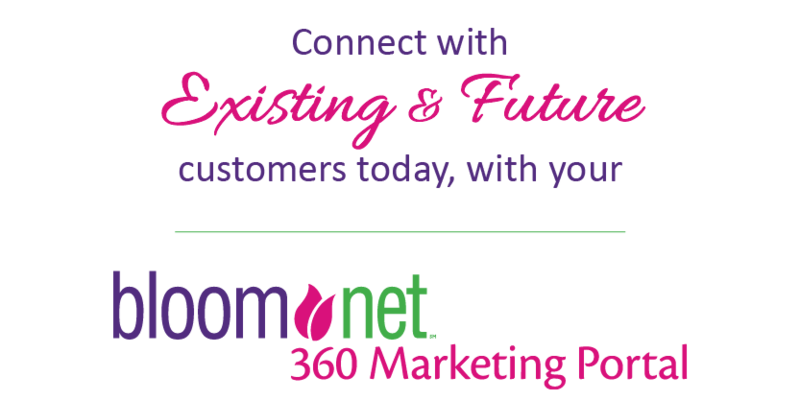 BloomNet360 is an important component of a complete 360 Marketing campaign. Leverage dozens of Local Store Marketing Promotions to drive more local traffic into your store and increase online orders for your local website. Expert Tip: Launch an In-store Retail Promotion!